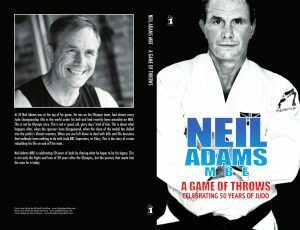 Today is the official launch of Neil Adams MBE’s autobiography celebrating 50 Years in Judo. The first book in the FoxGloves martial arts line. The book is available from Amazon for £8.99 and the Adams’ are doing a special limited edition commemorative Gi Bag. There are only 50 bags available, which come complete with a copy of the book for £30. Please contact the Adams’ directly for more information on the ltd edition bags. This is an incredibly open book about being the best and rebuilding life after the Olympics.